While we’re on the no-buying kick, can I give a shout out to the library? Our library has a nice supply of craft, sewing, and cookbooks. I can go online and find a book at any library and it will be shipped to my downtown branch within a few days. How nice. It’s been snowy here and although I’ve gotten a few projects done, sometimes it’s nice to make a fire and look at other people’s handiwork. 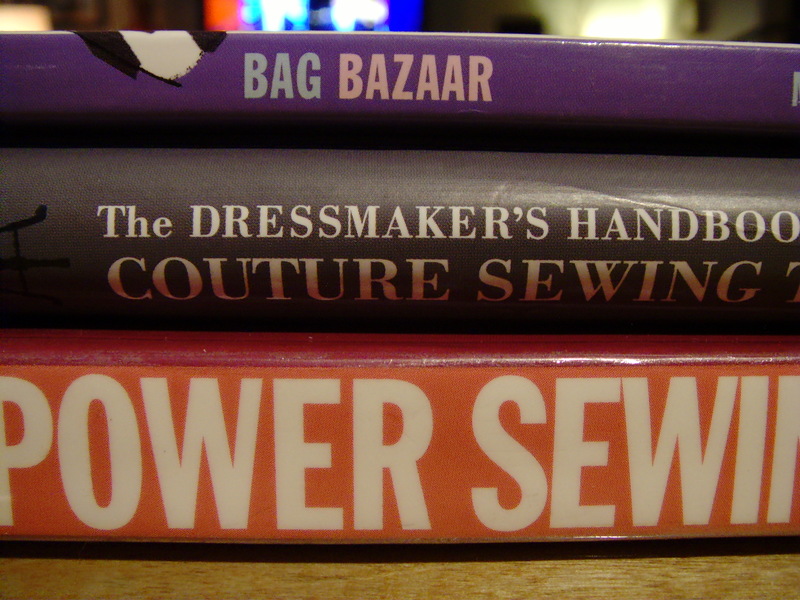 Some of these books were good, but The Dressmaker’s Handbook of Couture Sewing Techniques: Essential Step-by-Step Techniques for Professional Results by Lynda Maynard (http://amzn.com/1596682477) was excellent. Great step-by-step photos and detail on techniques I will be trying soon.